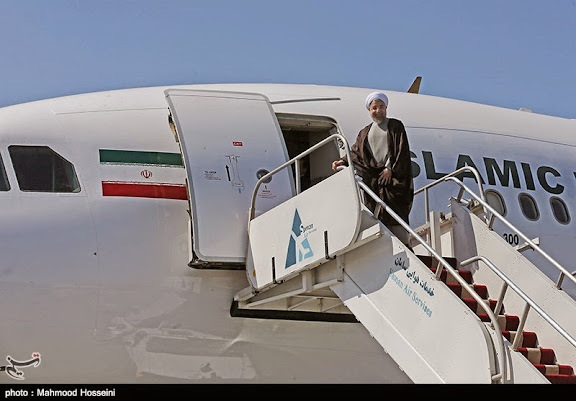 President Rouhani boards Airbus A340-300 series aircraft 22SEP14 at THR / OIII, bound for JFK / KJFK to attend 69th annual session of the United Nations General Assembly. 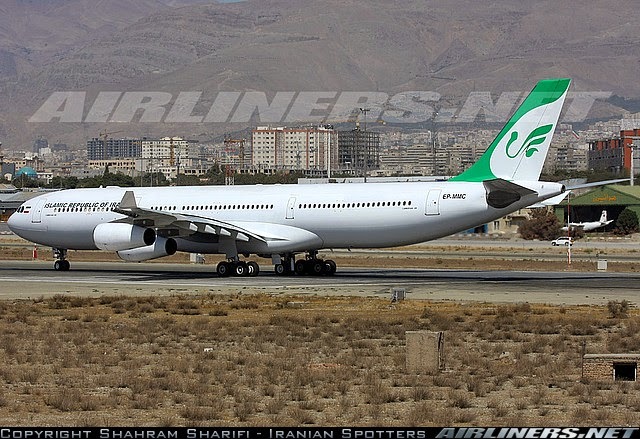 Aircraft appears to be Iran Aseman A340-311, reg. EP-APA (cn 002) in new IRIG livery.